Over the past two decades, human neuroscience has shown how cognitive behaviour relies on a large-scale neural system that exhibits intrinsic, spontaneous patterns of dynamic activity. Although this computation emerges from excitatory and inhibitory interactions at the synaptic level, how the large-scale brain architecture constrains system’s entire dynamics, is still unclear. Network controllability is a mathematical framework to explore structure-function relationships in complex systems, and may be suited to study how the underlying network topology influences brain dynamics. Here I will discuss brain network controllability as an organising principle of the human brain: linking micro-scale neurochemical excitation with system’s dynamics, through network topology. 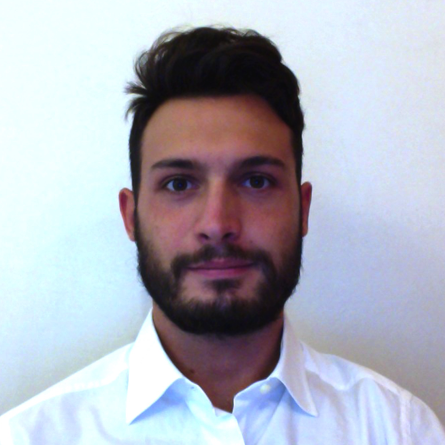 Piergiorgio is a postdoctoral researcher at the Wellcome Centre for Integrative Neuroimaging, University of Oxford. After obtaining his PhD at King’s College London (2017) for his work on the ontogeny of the human language brain network, Piergiorgio joined the FMRIB Plasticity group, led by Prof Heidi Johansen-Berg. Here, he combines multimodal MRI, network theory and machine learning techniques, in order to provide a better understanding of the neurophysiological mechanisms underlying system-level plasticity in the human brain.